The Board of Trustees is pleased to announce that it decided this evening to offer a three and one-half year employment contract to Dr. Robert Maddox as Superintendent of Edgefield County School District. Under the terms of the contract, which the Board authorized me to execute as its Chairman, the District will pay Dr. Maddox an annual salary of $140,000. The Board is extremely pleased that Dr. Maddox will be leading the District as Superintendent beginning January 1, 2016. He comes to our system with a very strong background in and dedication to public education. 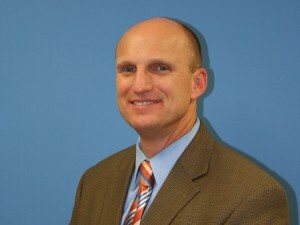 Dr. Maddox has over thirty years’ experience as an educator in South Carolina, having spent the last 11 years in Lexington School District Four both as a principal and most recently serving as the Associate Superintendent. Dr. Maddox also has experience as a teacher, coach, and principal at the elementary, intermediate, middle and high school levels. Dr. Maddox began his career in education as a biology teacher and assistant coach at our own Strom Thurmond High School and he is excited to return to where he first realized his passion for education. Dr. Maddox received a Bachelor of Science in Education from the University of South Carolina and a Master and Doctor of Education in Educational Leadership from Auburn University and South Carolina State University respectively. Our newly-appointed Superintendent will be moving to Edgefield County in the coming months. Dr. Maddox has been married for 24 years to Shannon, who is both an Edgefield County native and a retired public school teacher. He and his wife have two children. Until January 1, 2016, the Board has agreed that Dr. Maddox will serve as Superintendent-Elect. In that capacity, he will perform any and all duties as may be deemed appropriate and agreed upon by the Board. The Board expects Dr. Maddox to be in the District intermittently during the coming weeks in order to begin meeting with employees and familiarizing himself with District operations. The Board will schedule a welcome reception in the near future for the staff and community to formally meet Dr. Maddox and his family. Dr. Maddox has been a very involved participant in numerous civic and professional organizations in South Carolina for many years and is excited about becoming actively involved in all aspects of community and school life throughout Edgefield County. 4 Responses to "Dr. Robert Maddox Named New School Superintendent"
Edgefield County Schools just hit the proverbial jackpot! You could not find a person (or family) that would bring more character and dedication to education than Dr. Robert Maddox! I had the pleasure of knowing Dr. Maddox and his family when I worked in the Lexington #4 District for 5 years, and you would never find a better choice if you searched high and low! Congratulations to Dr. Maddox and to the Edgefield County School Board! Great man and great leader. He will do great things. He makes a difference. Dr. Robert Maddox is one of the most kind, generous, and caring people I have had the pleasure to work with and for. He will be a blessing to the Edgefield school district and will be greatly missed in Lexington Four. Dr. Robert Maddox is a very humble and kind person. He comes with years of experience and education for your district. He will be a great access to the Edgefield school district and deeply missed in Lexington District Four. You chose a leader that cares for the children, staff and the community. Congratulations, we are very proud of your achievements.